The 001 Full Chain Harness is a special collaboration designed exclusively for gCircuit “Heaven on Earth” party. 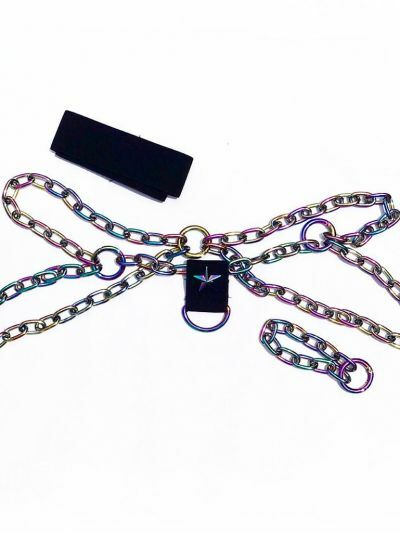 This zinc alloy harness is made with a SPECIAL PLATING that assures the metal color DOES NOT WASH-OFF. This premium piece comes with a set of armbands and a matching wrist chain. Available in 3 colors.